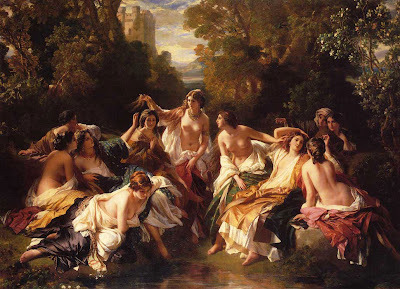 German painter and lithographer, Franz Xaver Winterhalter trained as a draughtsman and lithographer in the workshop of Karl Ludwig Schüler (1785–1852) in Freiburg im Breisgau and went to Munich in 1823, sponsored by the industrialist Baron Eichtal. In 1825 he began a course of study at the Akademie and was granted a stipend by Ludwig I, Grand Duke of Baden. The theoretical approach to art of the Akademie under the direction of Peter Cornelius was unfamiliar to him, as in Freiburg he had been required to paint in a popular style. 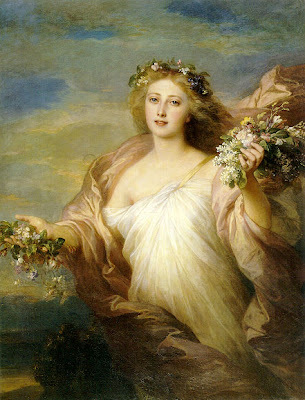 He found the stimulus for his future development in the studio of Joseph Stieler, a portrait painter who was much in demand and who derived inspiration from French painting. 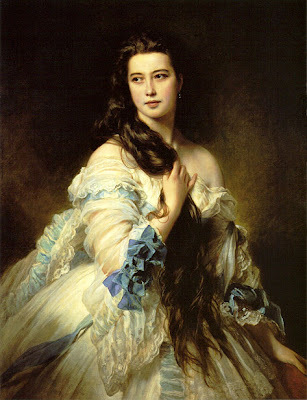 Winterhalter became his collaborator in 1825. From Stieler he learnt to make the heads of figures emerge from shadow and to use light in the modelling of faces. 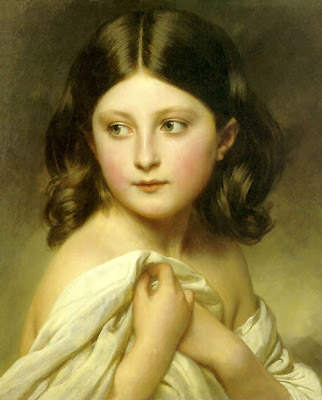 He moved to Karlsruhe in 1830with his brother Hermann Winterhalter (1808–92), who had also trained with Schüler and had followed him to Munich. 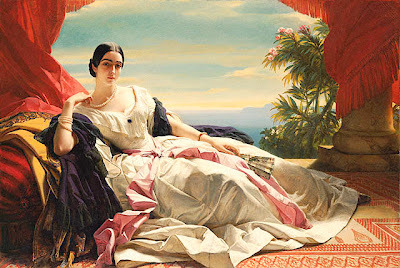 This entry was posted on 13 janvier 2008 at 9:53 and is filed under Franz Xavier Winterhalter 1805-1873. You can follow any responses to this entry through the RSS 2.0 feed. You can leave a response, or trackback from your own site.